Uzbekistan can be indeed considered one of the centers of the Great Silk Road. First references of Uzbekistan relate to VIII—VII centuries BC. 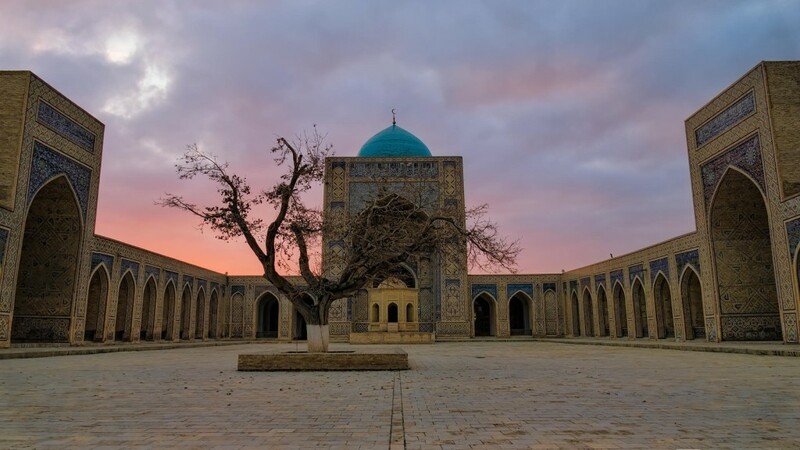 Samarkand, Bukhara, Karshi, Khiva – all these are the ancient towns on the territory of modern Uzbekistan. Only in Bukhara there are situated more than 140 architectural monuments of the Middle ages. The capital of Uzbekistan is Tashkent. It is a typical Soviet megapolis. Along with this, as the East in general, it is full of bazaars and town markets, among which there is the biggest bazaar of the capital Eski-Juva and the market Chorsu. The biggest part of the country is occupied by lands that are hardly suitable for life: deserts, mountains and steppes. All in all in Uzbekistan there live 31 025 500 people, among which 50% is rural population.